Not too many consumers want to think about getting older; however, a new study conducted by researchers from the University of California - San Diego may have people planning for the future. Researchers found that hearing loss is one of the first signs of advanced aging, and it could lead to cognitive difficulties in old age. However, according to the study, higher education can help with mild hearing loss. For many consumers, experiencing hearing loss is a sign of old age, though oftentimes, many suspect it’s nothing more serious. However, based on a new study conducted by researchers from Columbia University’s Mailman School of Public Health, losing your hearing could actually be a risk factor associated with premature death. In the 1960s, young people walked around with a transistor radio next to their ear. In the 1970s it was a boom-box on their shoulder. In the 80s, it was a Walkman on their belt with featherweight earphones. While any prolonged, loud sounds in close proximity to your ears can be harmful, today's “ear buds,” the mini-earphones that connect media players and smartphones directly to your ear canals, are a growing cause of concern. According to a Vanderbilt University-led study published in Journal of the American Medical Association, hearing loss is now affecting 20 percent of U.S. adolescents ages 12 to 19, which is a five percent increase over the past 15 years. Are ear buds to blame? A separate study by the American Speech-Language-Hearing Association found that teenagers typically listen to devices at a louder volume than adults, and that these same teenagers already have symptoms of hearing loss. Kristina Rigsby, Au.D., a pediatric audiologist at the Vanderbilt Bill Wilkerson Center, says listening to devices with levels over 80 dB for extended periods of time may be dangerous. Prolonged exposure to high volume exhausts the auditory system, she explains. 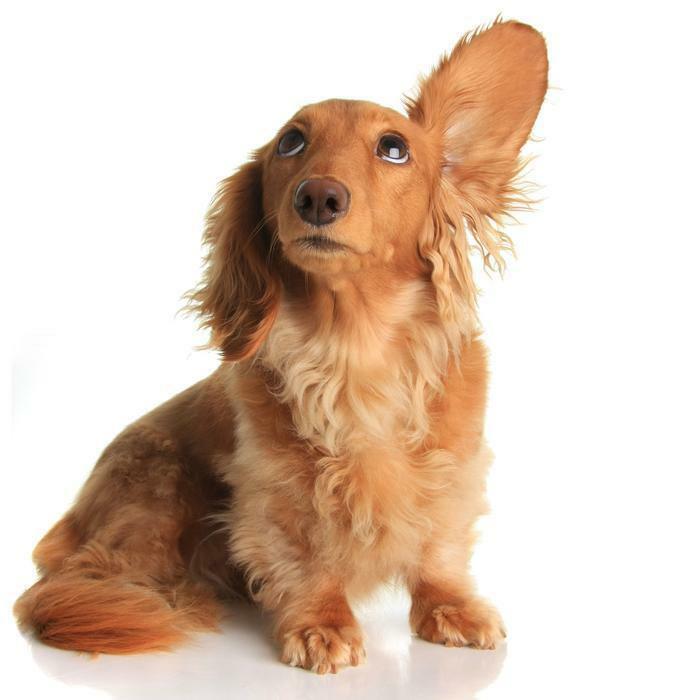 Over time, the hair cells in the ear start to degenerate because they aren’t receiving proper blood flow and oxygen. How loud is too loud? If parents can hear sound coming from their child’s headphones while they are wearing them, it’s too loud, Rigsby said. A good rule of thumb is the “60/60 rule,” which means using only 60 percent of the device’s volume level for no more than 60 minutes at a time. After 60 minutes, give your ears a break for at least an hour, she said. Those who ignore the warnings and wind up damaging their hearing shouldn't expect too much sympathy from the legal system. 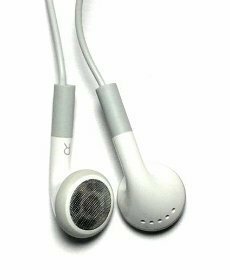 A federal appeals court in 2010 unanimously tossed a class action alleging that Apple failed to warn consumers that using iPod earbud-style headphones at full volume can lead to hearing loss. The 3-0 ruling by the Court of Appeals for the Ninth Circuit affirmed the lower court's 2008 decision to dismiss the case. The suit, filed by lead plaintiffs Joseph Birdsong and Bruce Waggoner in 2006, alleged that iPods' maximum volume of 115 decibels, equivalent to a helicopter taking off, puts users in danger of permanent hearing loss. Further, the plaintiffs said that Apple's signature earbuds the white-and-silver headphones that fit snugly inside users' ears provide less protection against hearing loss than traditional headphones. In June 2008, Judge James Ware of the Northern District of California dismissed the suit, ruling that the plaintiffs failed to prove that they had suffered any actual harm as a result of the headphones' alleged defect. The Ninth Circuit upheld his ruling, with judge David Thompson writing that the suit suggest[s] only that users have the option of using an iPod in a risky manner, not that the headphones were inherently defective. While Apple does alert consumers that continually playing music at a high volume can lead to hearing problems, the plaintiffs contended that this warning was too vague. They said that Apple had a responsibility to tell consumers the maximum safe decibel level, and to sell iPods with a device telling users how loud their music is at any given moment. Rather than using ear buds, consider investing in high-quality, “noise cancelling” headphones that cover the entire ear. 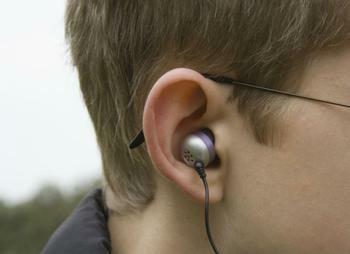 Ear buds allow more background noise to seep in, so users often turn up the volume to compensate. But before you go for a stroll with your new noise-cancelling headphones, it might pay to listen to warnings from researchers at the University of Maryland Medical Center, who say distracted walking is becoming as dangerous as distracted driving. With the proliferation of iPods and smartphones than can access music services, pedestrians often walk listening to loud music, and therefore can't hear trains, buses, trucks and cars around them. Serious injuries to pedestrians listening to headphones have more than tripled in six years, according to their research. In many cases, the cars or trains are sounding horns that the pedestrians cannot hear, leading to fatalities in nearly three-quarters of cases. The researchers looked at 116 accident cases from 2004 to 2011 in which injured pedestrians were found to be using headphones. Seventy percent of the 116 accidents resulted in death to the pedestrian. How will they measure up to the original model? 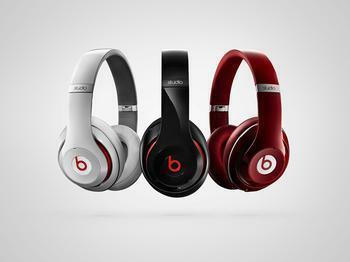 It's been five years since Dr. Dre released his Beats by Dr. Dre studio headphones. 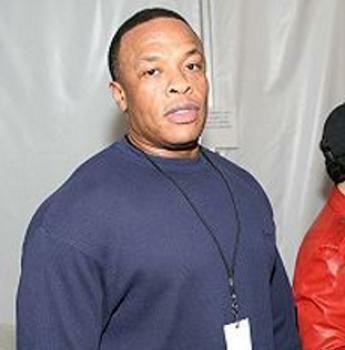 Along with Jimmy Iovine, chairman of Interscope Geffen A&M, Dre's headphones have been quite the hit, and in case you didn't notice, just look around. From city to city and burb to burb, you'll see the young, the old, the music lover and the occasional music listener, all walking around with headphones that have that lower case "B" on it. And come this August, you'll probably see even more folks walking around with them. Beats Electronics, the company behind the headphones, just announced it will release a new and improved version next month. And Iovine says the company has taken the original model and made it much better by increasing the level of accuracy and balance. "With the original Studio headphone we set out to prove that people all around the world care enough about sound to invest in it, and we did," said Iovine. "Now we are taking it a step further. The new Studio is tuned with balance, accuracy and emotion, has a breathtaking design and truly innovative technology. This is the sound of the future." And what will that futuristic sound entail? The company says the new headphones will come with new custom-made digital software called Beats Acoustic Engine, which is supposed to provide the ultimate balance in each pair. Now are we telling you to run out and purchase these headphones? Absolutely not, because with a starting price of $300, it would be presumptuous of us to think most consumers would pay this kind of money for a pair of headphones. But we do like to introduce products that have a level of coolness and a history of success, and Dre's headphones and his other products certainly fit that bill. And besides the accompanying software, the headphones will come with adaptive noise cancellation, which will give users the ability to switch between two different sound modes. Plus, the amount of noise cancellation will automatically adjust depending on where you're using the headphones. And when they're unplugged, the noise cancellation will kick up a notch, the company says. You won't have to purchase batteries anymore either. The new Studio headphones will come with a rechargeable battery instead of the AAA batteries needed before, and the company says you'll be able to get 20 hours of listening time with each new charge. In addition, the company says the headphones are lighter and the ear cups will be able to fit your ears much better. But if you ask me, there really isn't much difference in appearance between the new version and the original model. If you'd like to get a good pair of headphones for about $100 less, you may want to give the Yamaha EPH-100s a try. The EPH 100s are the in-the-ear type of headphones, but general Internet reviews say the ear buds provide almost as good a thump as Dre's headphones. "My Yamaha EPH-100 headphones sound better than these," said Shane Scott Williams, who left a comment after reading another report on Dre's headphones. But I'm not sure how he was able to compare the two since Dre's headphones won't be out for another month. The "bass isn't fantastic," he added. 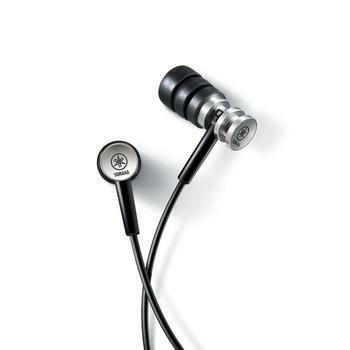 "They are in-ear, but definitely noticeable and very nice across the mids and highs. For my preference in music, I live [in] my 100s and when I can afford new more expensive headphones, I will probably drop some good money on some Westone 3 on-ears." When they first launched, the Beats headphones were owned by the company Monster, but as of 2012 Dre and Iovine started their own company -- Beats Electronics -- and since then, they've seemed to improve on the sound quality with each go around. Dre says that's the game plan, because he wants the listener to experience the music in the exact way it was meant to be listened to. "Music is my first love," said Dr. Dre. "It's how artists and producers communicate with their fans, but if the sound isn't right then the emotion isn't right and the meaning gets lost in translation." Age-related hearing impairment, injury, foreign objects and even circulatory system problems can bring on a ringing in the ear – a condition known as tinnitus. Doctors say it isn't a dangerous condition, but it can be very annoying for people who suffer from it. People who have it may also complain of fatigue, stress, sleep problems, anxiety and difficulty concentrating. In fact, a new study published this month in the medical journal Neuroscience focuses, in part, on loud noise and tinnitus. The researchers from the University of Leicester, in the UK, say their findings help to understand how damage to myelin – a protection sheet around cells - alters the transmission of auditory signals occurring during hearing loss. "Understanding cellular mechanisms behind hearing loss and tinnitus allows for developing strategies to prevent or alleviate the symptoms of deafness or tinnitus - for example by using specific drug therapies,” said Dr. Martine Hamann, a member of the research team. If you suffer from tinnitus there are steps you can take to alleviate it. The condition tends to improve with treatment, or treatment of the underlying condition, if it can be identified. For example, some blood vessel disorders can cause tinnitus. So can head and neck tumors, the build-up of cholesterol in the blood vessels and high blood pressure. How do you know that ringing in your ears is tinnitus? The symptoms have been described as hearing sounds when no sound is present. The ringing may not actually be ringing at all, but more of a buzzing, hissing of squealing. They may be low or high frequency sounds and interfere with your ability to concentrate. If you think you are suffering from tinnitus you should tell your doctor. She may request a medical history, conduct an exam or run a series of tests. For starters, a doctor will likely check the ear itself, to make sure there isn't a build-up of wax or a foreign object lodged there. Tell your doctor whether the noise you hear is constant or comes and goes. Does its frequency change or does it rise and fall? If you suspect that you have age-related hearing loss, inform your doctor, since the two conditions are often related. The doctor may order an audiogram, which is a hearing test, or auditory brain stem response (ABR), or even an MRI. The purpose is not only to locate the cause but to rule out the presence of tumors. Treatment, of course, will depend on the cause. A physician may remove earwax, treat blood vessel conditions or changing medication. Unless an underlying cause can be identified, treatment options are limited. Drugs will not reverse the condition but tricyclic antidepressants, alprazolam, and acamprosate may make the symptoms more tolerable Your physician may also suggest white noise machines, hearing aids and masking devices. It's possible you are making the condition worse by the overuse of cotton swabs to clean your ears. Doctors say pushing ear wax against the ear drum is a significant cause of the condition. Another is long-term exposure to loud noise. Aging Baby Boomers who are rock concert veterans may suffer tinnitus, along with hearing loss. While it might be a bit late for them, younger generations may improve their chances of avoiding tinnitus by using ear plugs when exposed to loud noise. An implantable device is now available for people 18 and older with severe or profound sensorineural hearing loss of high-frequency sounds in both ears, but who can still hear low-frequency sounds with or without a hearing aid. The U.S. Food and Drug Administration (FDA) has given its approval to the Nucleus Hybrid L24 Cochlear Implant System, which may help those with this specific kind of hearing loss who do not benefit from conventional hearing aids. Sensorineural hearing loss is the most common form of hearing loss and occurs when there is damage to the inner ear (cochlea). It may be caused by aging, heredity, exposure to loud noise, drugs that are toxic to the inner ear (e.g., antibiotics), and certain other illnesses. People with severe or profound sensorineural hearing loss of high-frequency sounds may have difficulty hearing faint sounds, understanding people with higher-pitched voices, hearing certain speech sounds, and, in some cases, hearing high-pitched emergency vehicle sirens or common safety alarms, such as smoke detectors. The Nucleus Hybrid L24 Cochlear Implant System combines the functions of a cochlear implant and a hearing aid. This electronic device consists of an external microphone and speech processor that picks up sounds from the environment and converts them into electrical impulses. The impulses are transmitted to the cochlea through a small bundle of implanted electrodes, creating a sense of sound that the user learns to associate with the mid- and high-frequency sounds they remember. The hearing aid portion of the device is inserted into the outer ear canal like a conventional hearing aid, and can amplify sounds in the low-frequency range. The agency evaluated a clinical study involving 50 individuals with severe to profound high-frequency hearing loss who still had significant levels of low-frequency hearing. The individuals were tested before and after being implanted with the device. A majority of the patients reported statistically significant improvements in word and sentence recognition at six months after activation of the device compared to their baseline pre-implant performance using a conventional hearing aid. The device also underwent non-clinical testing, which included the electrical components, biocompatibility and durability of the device. Of the 50 individuals participating in the study, 68% experienced one or more anticipated adverse events, such as low-frequency hearing loss, tinnitus (ringing in the ear), electrode malfunction and dizziness. Twenty-two developed profound or total low-frequency hearing loss in the implanted ear, six of whom underwent an additional surgery to replace the Nucleus Hybrid L24 Cochlear Implant System with a standard cochlear implant. While the risk of low-frequency hearing loss is of concern, the FDA determined that the overall benefits of the device outweigh this risk for those who do not benefit from traditional hearing aids. Prospective patients should carefully discuss all benefits and risks of this new device with their physicians. The device is intended for use on one ear only. The Nucleus Hybrid L24 Cochlear Implant System is manufactured by Cochlear Ltd., headquartered in New South Wales, Australia. The stigma of young people listening to loud music is one that stretches back for decades, but new research shows that it may be contributing to serious hearing problems. Canadian researcher Larry Roberts says that young people who listen to loud music are increasingly being affected by tinnitus, a condition signified by a constant ringing in the ears. The development of tinnitus signifies the potential for permanent hearing damage. “It’s a growing problem and I think it’s going to get worse. My personal view is that there is a major public health challenge coming down the road in terms of difficulties with hearing,” he said. Roberts and his fellow researchers came to this conclusion after conducting a study utilizing 170 students between the ages of 11 and 17. 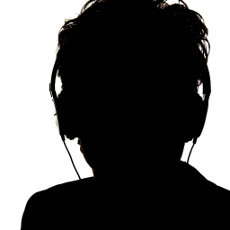 They found that nearly all of the participants engaged in some sort of risky listening habit – whether it was listening to loud music at parties or events or on some sort of personal device. Additionally, they found more than 25% of participants were already experiencing symptoms of tinnitus. Participants reported hearing a constant ringing or buzzing sound in their daily life, a condition that usually doesn’t affect someone under the age of 50. The researchers noted that having symptoms of tinnitus did not affect how well participants could hear; although this select group of students displayed symptoms of tinnitus, they were able to hear just as well as their peers. However, this same group was found to have a reduced tolerance for loud noises, a sign that Roberts says is indicative of hidden permanent hearing damage. Roberts and his fellow researchers are confident that their research is able to provide a glimpse into what they consider to be a growing health problem for young people. Although prolonged exposure to loud music or noises can cause constant tinnitus, experiencing it for short stretches should act as a warning sign, he says. For example, young people who experience symptoms of tinnitus for a day or so after listening to loud music should be cautious about their listening habits moving forward. The full study has been published in the journal Scientific Reports. Hearing loss or degradation is common in the United States, especially among the aging population. Hearing aids have done a lot to restore this sensory loss, but according to AARP, two-thirds of people over 50 who might benefit from hearing aids don't use them. If you’re at all frustrated with an older family member who’s hard of hearing, you might want to consider lightening up a bit. Researchers from Johns Hopkins University have conducted a study and found that the prevalence of hearing loss in older Americans is likely to rise dramatically in the next 40 years or so. Unfortunately, this is an issue that may also be indicative of greater health problems to come in the years ahead. “Hearing loss is a major public health issue independently associated with higher health care costs, accelerated cognitive decline, and poorer physical functioning. More than two-thirds of adults 70 years or older in the United States have clinically meaningful hearing loss,” the researchers said. The researchers came to their conclusions after analyzing audiometric data from the National Health and Nutrition Examination Survey. By cross-referencing this information with estimates from the 10-year population estimates from 2020 to 2060, the researchers found that the number of people that will suffer from hearing loss will increase from 44.1 million to 73.5 million during the time period. Additionally, the study found that older adults will be most affected by the condition. The researchers estimate that 55.4% of all adults with hearing loss will be over the age of 70 in 2020. By 2060, that figure is expected to drop slightly to 67.4%. However, hearing loss is expected to increase by 7.6% in adults 20 and over during the same period. The researchers point out that over the next 43 years, the number of U.S. consumers affected by hearing loss is projected to double, outpacing the overall population growth rate. They say that it is up to policy makers and elected officials to plan for this eventuality to reduce negative effects going forward. “These projections can inform policy makers and public health researchers in planning appropriately for the future audiologic hearing health care needs of society,” they said. The full study has been published in JAMA Otolaryngology -- Head & Neck Surgery. Hearing loss can be caused by damage to your ears, but it can also be a part of getting older. Genetics can even play into it. But the onset of hearing loss can be so gradual that you aren't very aware of it. In fact, people around you may become aware of it before you do. If you suspect you're suffering from hearing loss, you book an appointment with a specialist to get tested. More than likely that test will be an audiogram, considered the gold standard in hearing measurement. At a clinic, the test is normally conducted in a quiet room. The specialist analyzes the results and has good news -- your hearing is just fine. But is it? If your child has reading difficulties, the problem may not lie in their comprehension – it might be due to a hearing problem. That’s the conclusion of a Coventry University study, which found that 25 percent of young participants who had reading difficulties also had mild to moderate hearing impairment. Report author Dr. Helen Breadmore says the finding indicates a greater need to screen young children for hearing problems. As seasons go, summer is probably the noisiest. And that can take a toll on your hearing. “Fireworks, trains, concerts and road construction can be harmful to your hearing. And once hearing is damaged, it cannot be repaired,” said Jyoti Bhayani, certified audiologist at Gottlieb Memorial Hospital, part of Loyola University Health System. One in 10 Americans has hearing loss that affects the ability to understand normal speech. Aging is the most common cause of this condition. However, exposure to excessive noise also can damage hearing in higher pitches. “Hearing loss due to excessive noise is totally preventable, unlike old age or a medical condition,” said Bhayani. Sound is measured in decibel (db) levels. A soft whisper is only 30 db. Normal conversation, or fingers typing on a computer keyboard are about 60 db. Prolonged exposure to sound levels above 85 db usually call for earplugs. That means wearing ear protection when mowing the lawn, using a chain saw or attending a rock concert. Unfortunately, when nerve endings in the ear die, they don't come back – and loud noise will kill them. Three small bones in the middle ear help transfer sound vibrations to the inner ear where they become nerve impulses that the brain interprets as sound. “When noise is too loud, it begins to kill the hair cells and nerve endings in the inner ear,” Bhayani said. “The louder a noise, the longer the exposure, and the closer you are to the noise source, the more damaging it is to your nerve endings, or your hearing.” As the number of nerve endings decreases due to damage, so does your hearing. Nerve endings cannot be healed or regenerated and the damage is permanent. 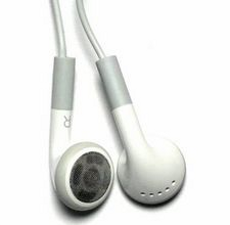 If you have a smartphone or iPod, you may use ear bud headphones that are inserted into the ear. Use of ear bud headphones by youngsters may save your ears from being assaulted by the noise of your teenagers’ music or electronic game, but they may be damaging your child’s hearing. Aging Baby Boomers have noticed it. As you get older, your hearing isn't what it once was. Turns out they aren't alone. Researchers at Johns Hopkins have concluded that nearly a fifth of all Americans 12 years or older have hearing loss so severe that it may make it hard to communicate. Study leader Frank Lin, M.D., Ph.D., an assistant professor at Johns Hopkins, says that several previous estimates of hearing loss focused on various cities or populations, such as children or elderly patients. However, no estimate successfully encompassed the entire U.S. The study used the World Health Organization’s definition for hearing loss - not being able to hear sounds of 25 decibels or less in the speech frequencies. The researchers found that overall, about 30 million Americans, or 12.7 percent of the population, had hearing loss in both ears. 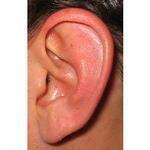 That number jumps to about 48 million, or 20.3 percent, for people who have hearing loss in at least one ear. These numbers far surpass previous estimates of 21 to 29 million. “This gives us the real scope of the problem for the first time and shows us how big of a problem hearing loss really is,” Lin said. The study appears in the Archives of Internal Medicine. You may not always like what you hear but being able to hear is an important part of part of leading an active life. Yet, a new survey of AARP members finds nearly half say their hearing is getting worse. The survey, conducted by AARP and the American Speech-Language-Hearing Association (ASHA) released today, focuses on the state of hearing among Americans 50-plus. It examines attitudes toward hearing, the needs and unmet needs that the 50-plus population has for treating hearing issues and knowledge of where to go for help. 85 percent of members surveyed said that maintaining hearing health is of great importance to them personally. And 70 percent of respondents who said their hearing is excellent also said that they feel younger than their actual age. Over a five-year period, nearly half (46 percent) of members surveyed say their hearing is getting worse. And the same percentage (47 percent) reported having untreated hearing health issues. During that same period in time, the vast majority of members surveyed reported either having a vision test or blood pressure monitoring (88 and 85 percent, respectively). In comparison, 43 percent of respondents reported having had a hearing test conducted. More than half (61 percent) of member respondents indicate that hearing difficulties make it hard to follow conversations in noisy situations. And members point to the impact hearing difficulties can have on relationships with friends and family (44 percent) or during family gatherings (43 percent). A majority (57 percent) of member respondents with untreated hearing difficulties don’t believe their problems warrant treatment. Nearly two-thirds of poll respondents (63 percent) cite health insurance coverage limitations, concerns about cost, and lack of health insurance as reasons for not getting treatment for hearing difficulties. 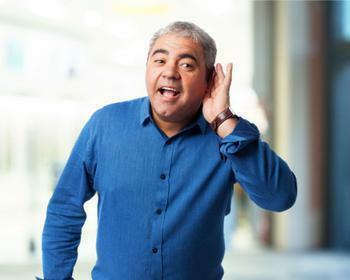 "Untreated hearing loss is not a condition to be taken lightly or ignored," according to Paul R. Rao, PhD, President of the American Speech-Language-Hearing Association. "It can lead to social isolation and even depression. And it works against the desire of more and more Americans to stay in the work force. We sincerely hope that one result of our polling with AARP will be that people seek treatment." The survey also found that more people will seek help for hearing issues if their issue is linked to their relationships. Nearly 70 percent would seek treatment if they felt their hearing issues were affecting their relationships with family and friends. Nearly as many would do so if someone they cared about asked them to seek treatment.